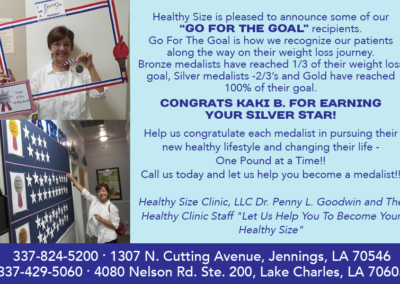 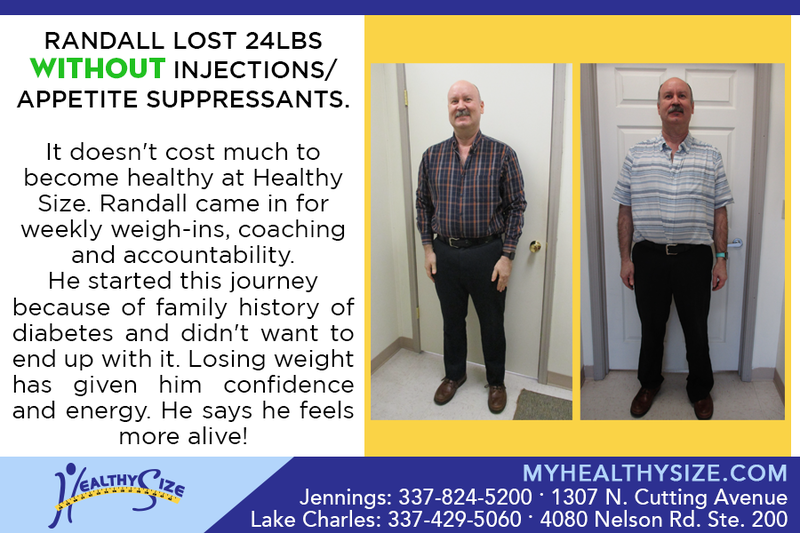 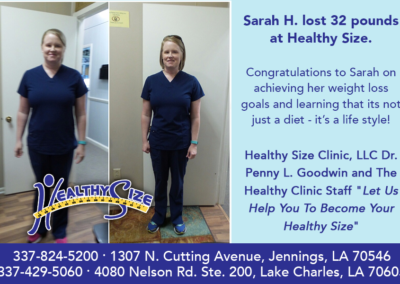 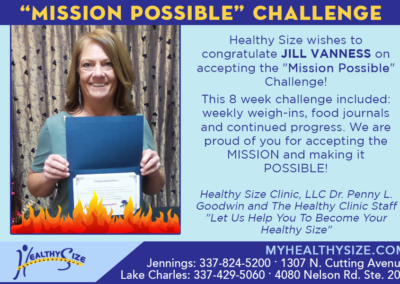 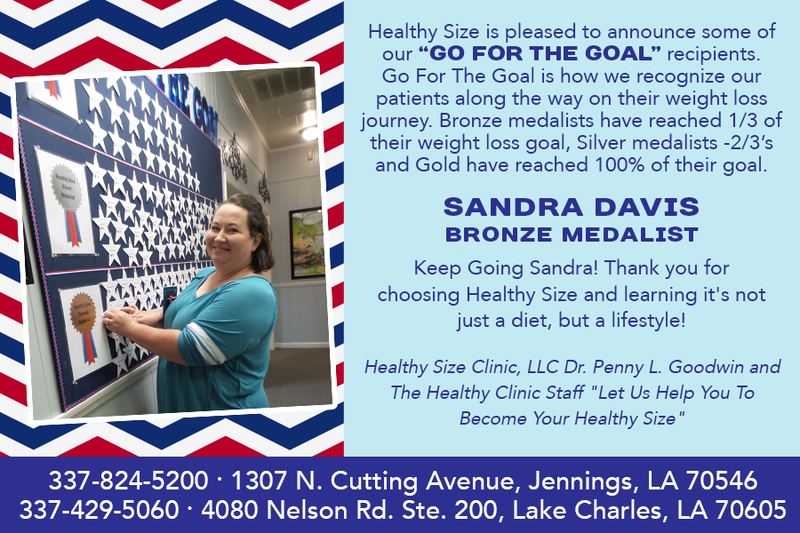 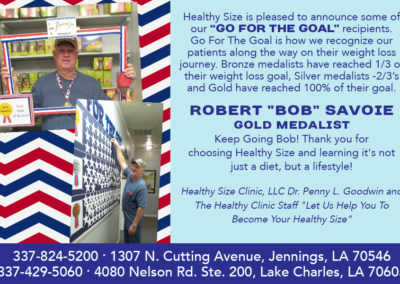 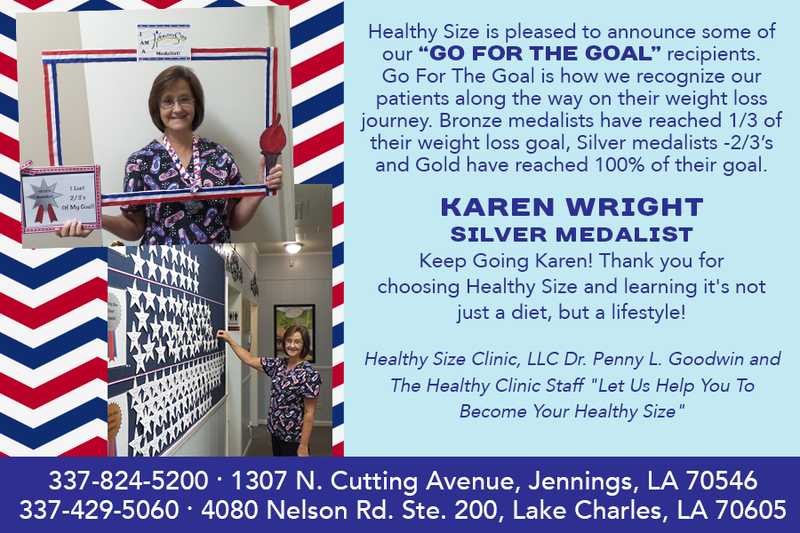 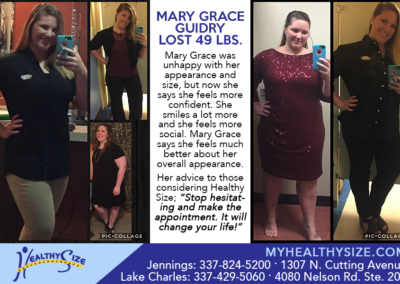 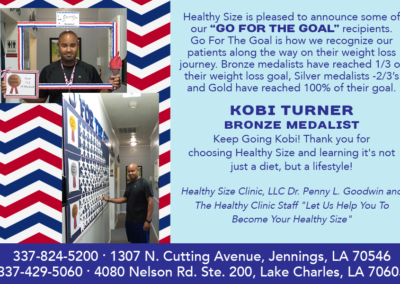 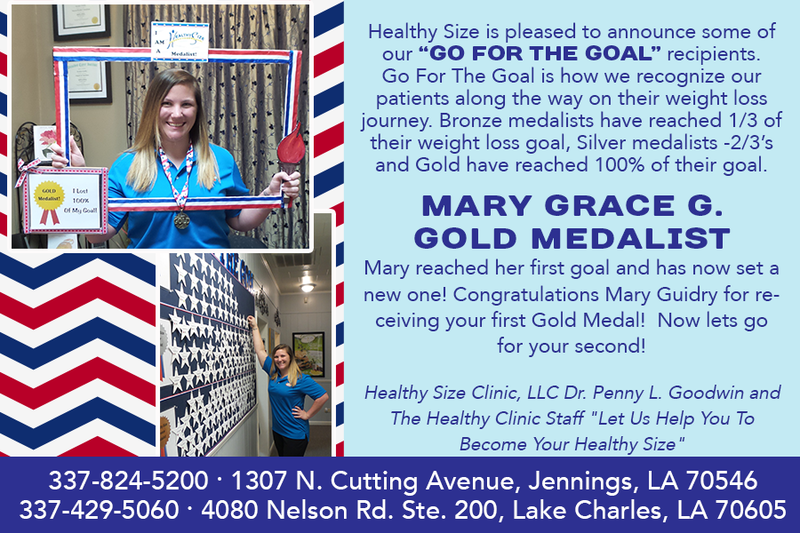 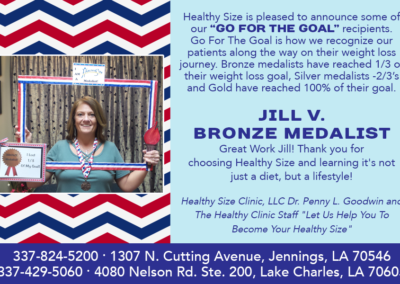 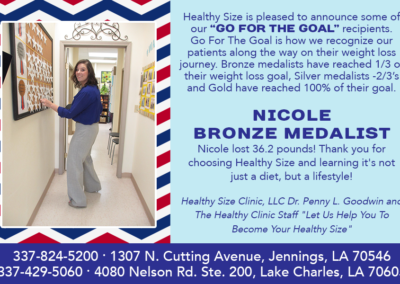 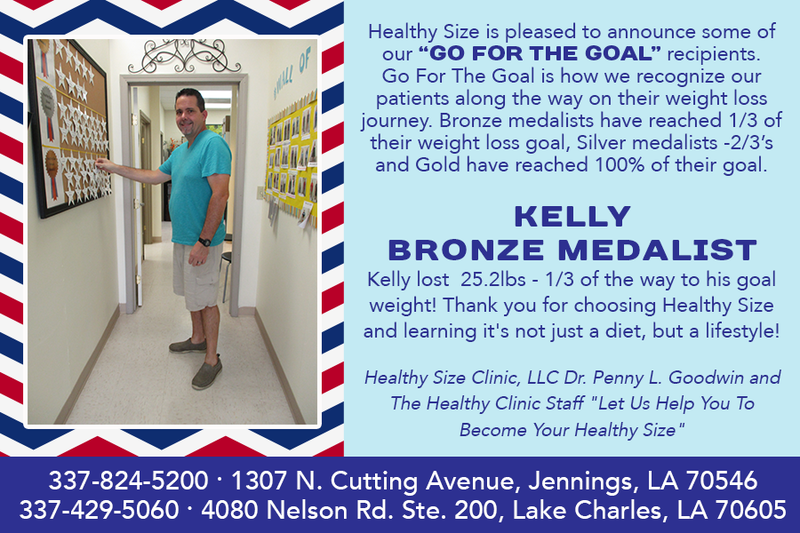 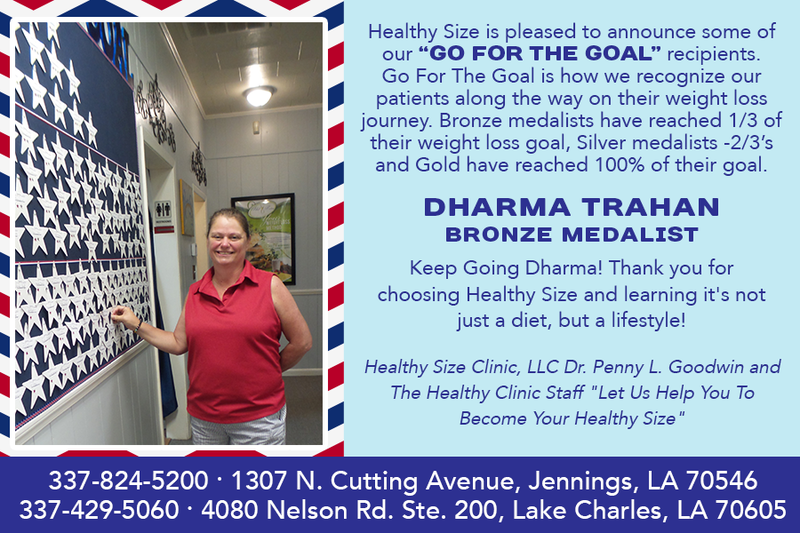 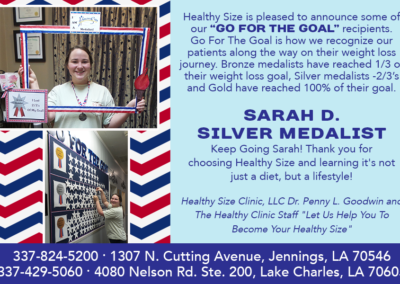 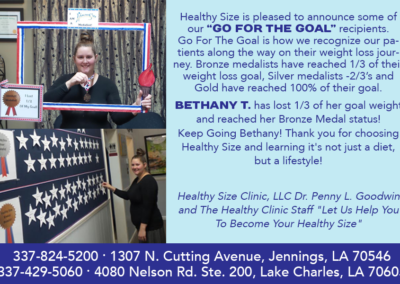 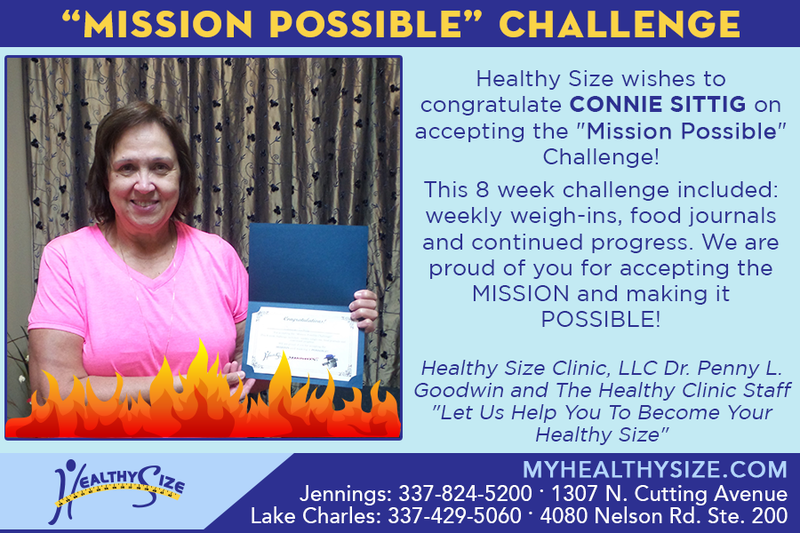 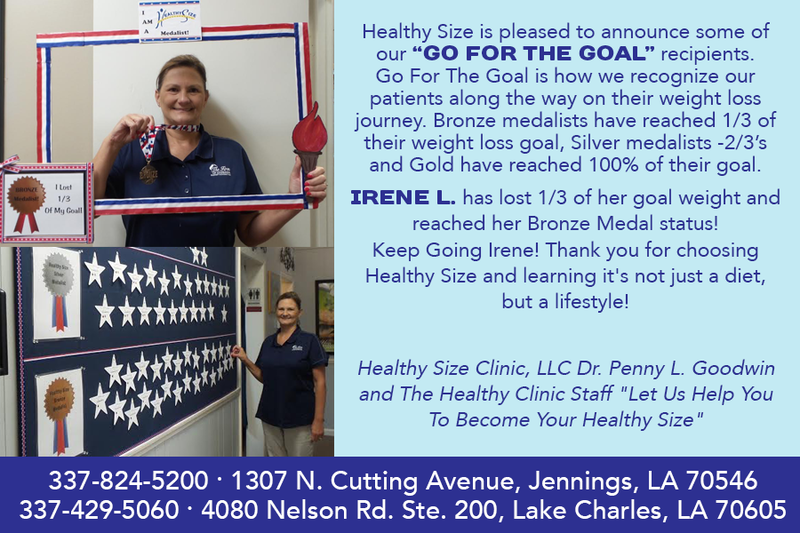 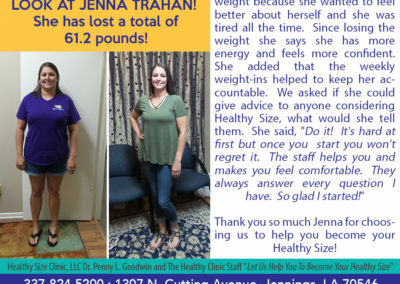 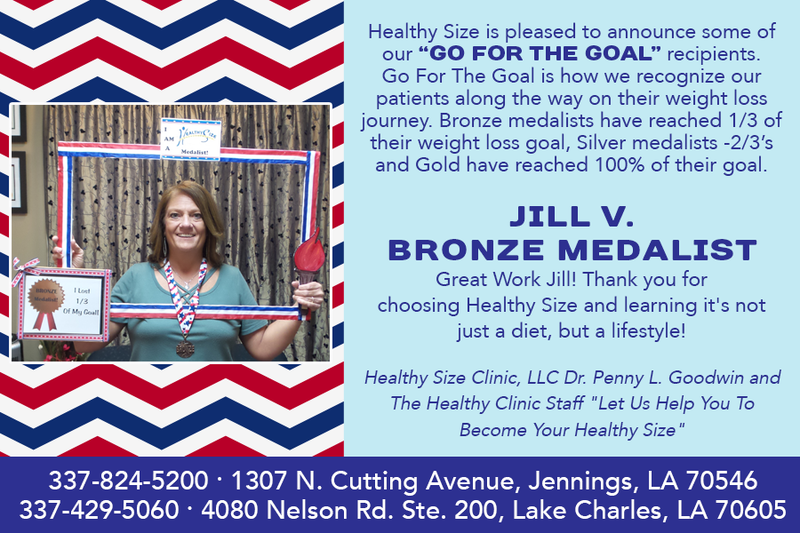 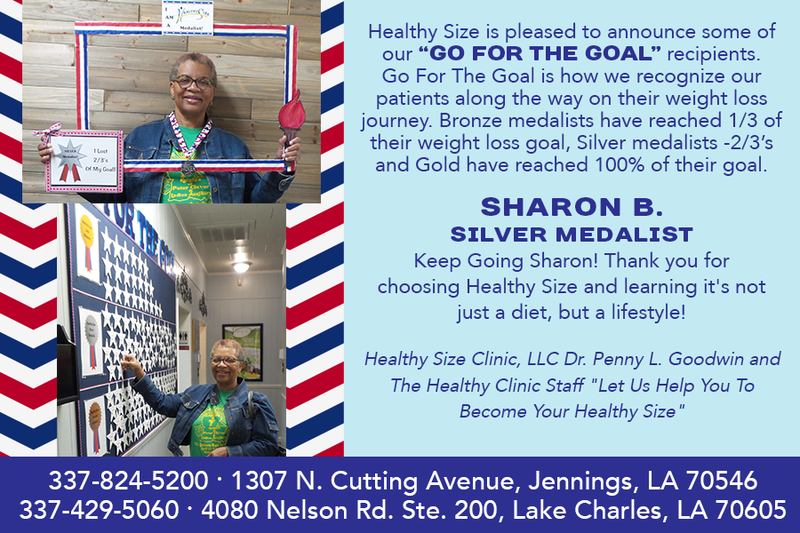 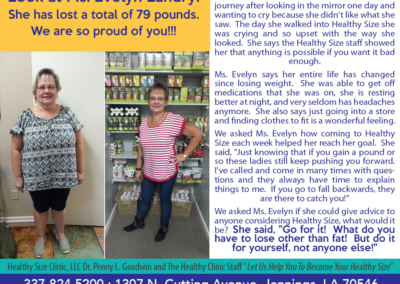 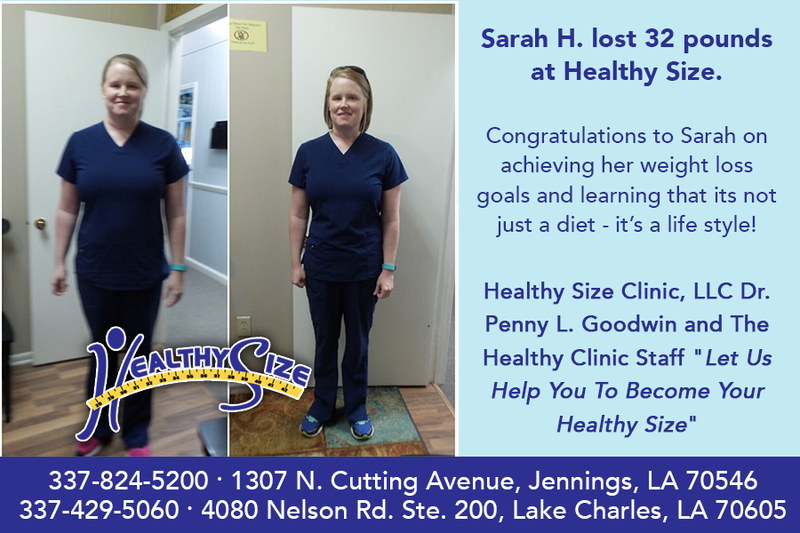 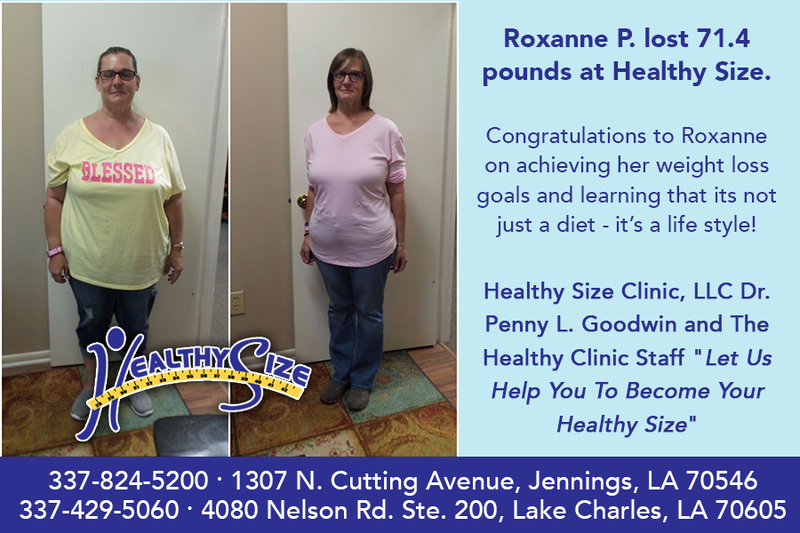 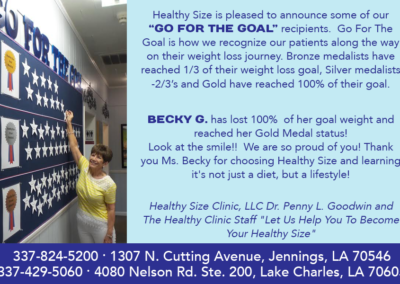 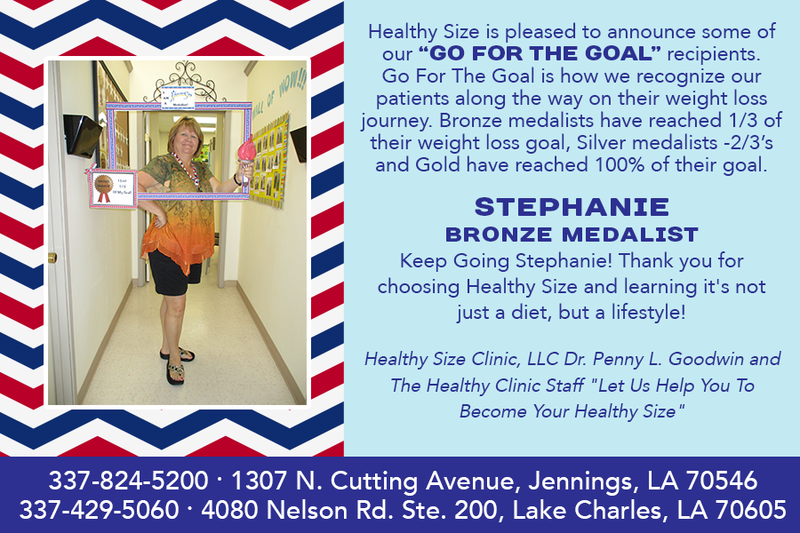 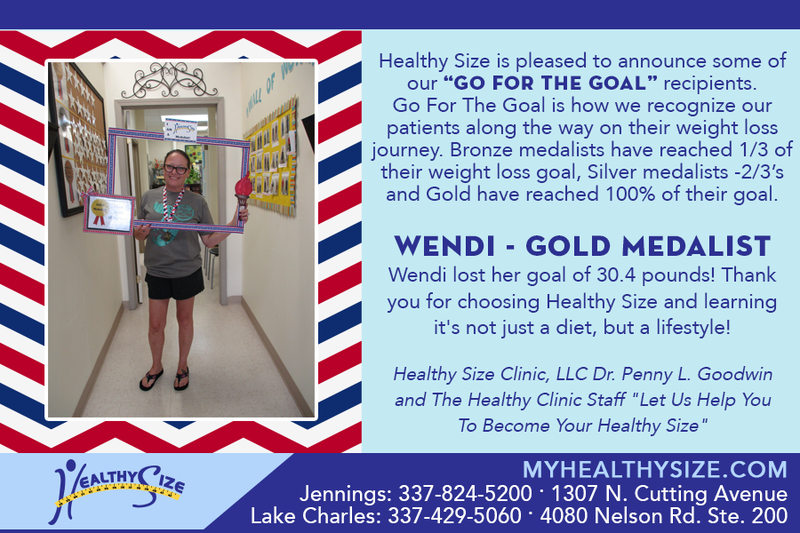 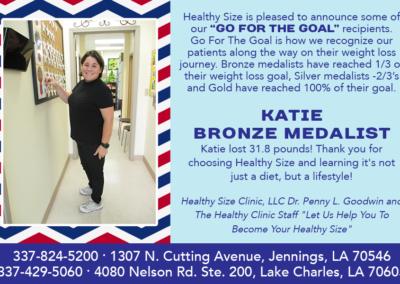 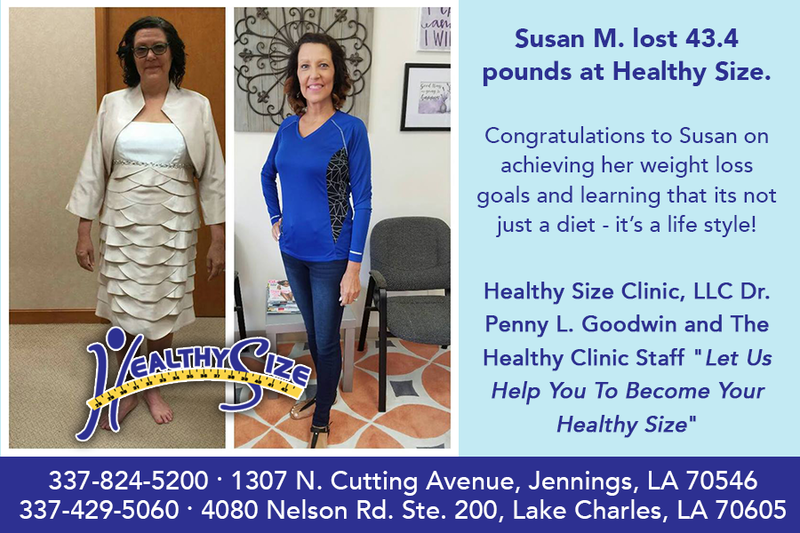 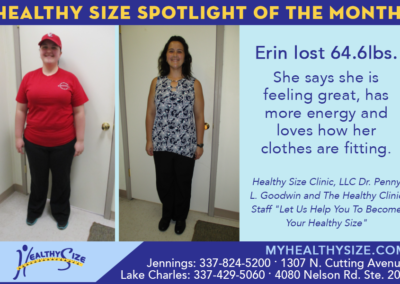 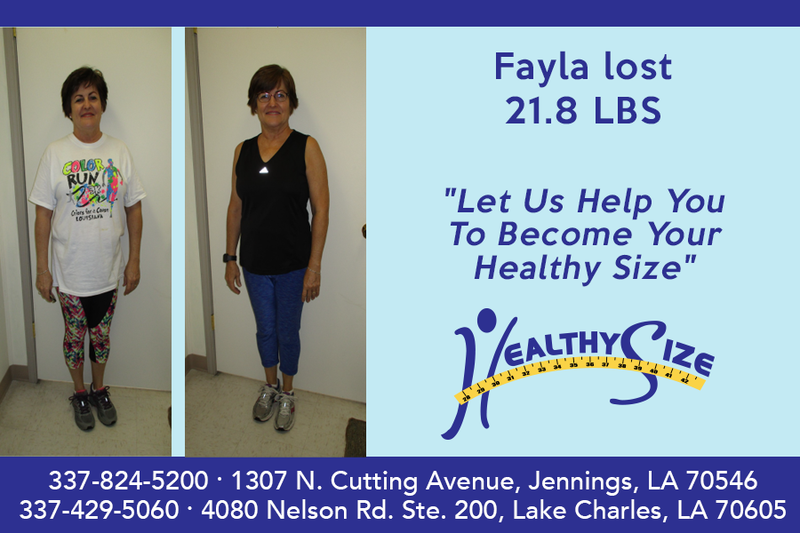 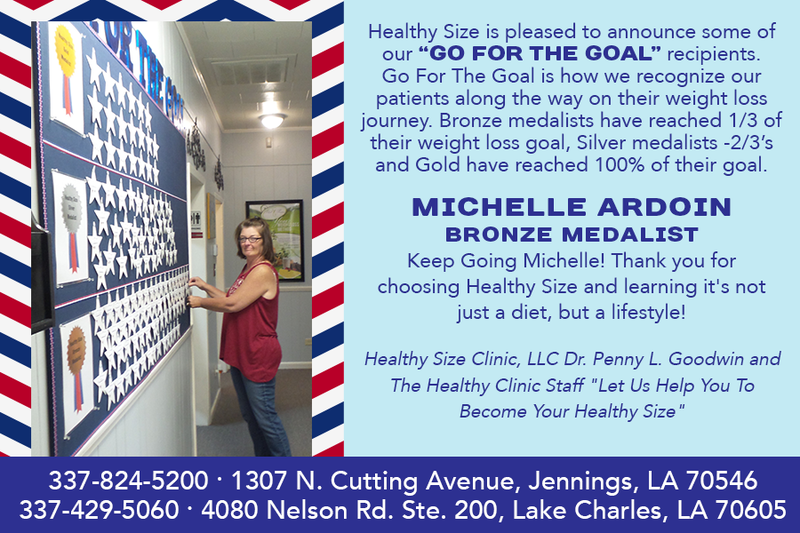 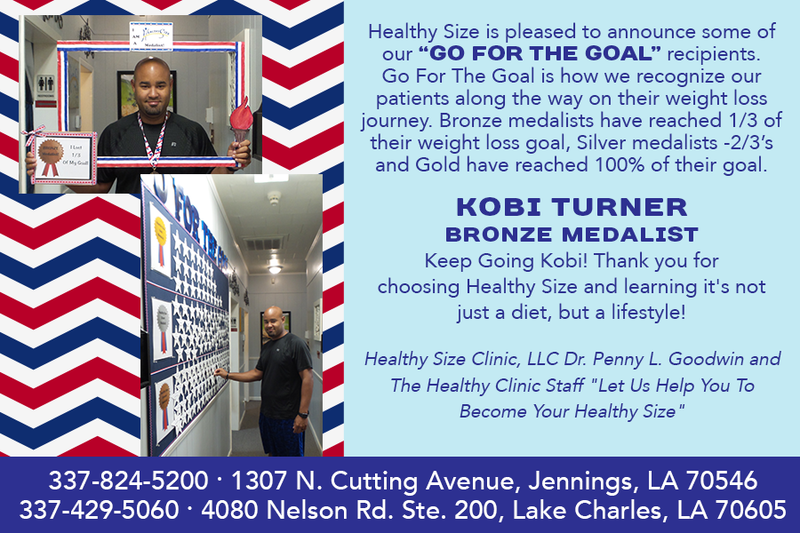 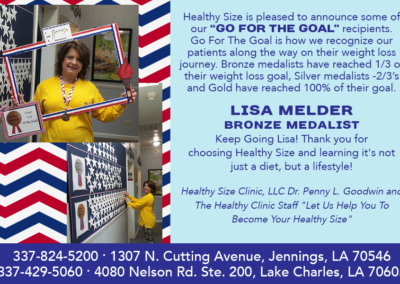 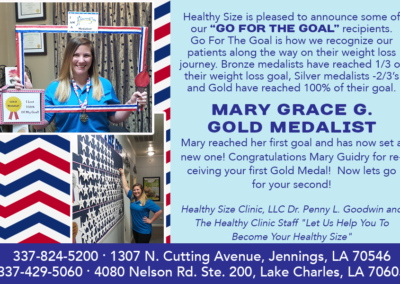 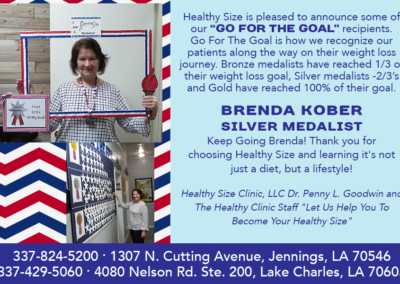 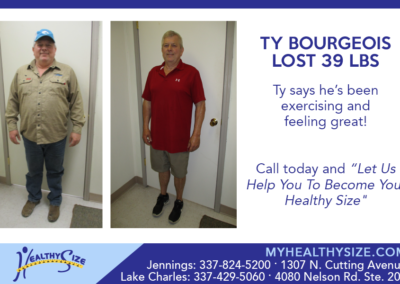 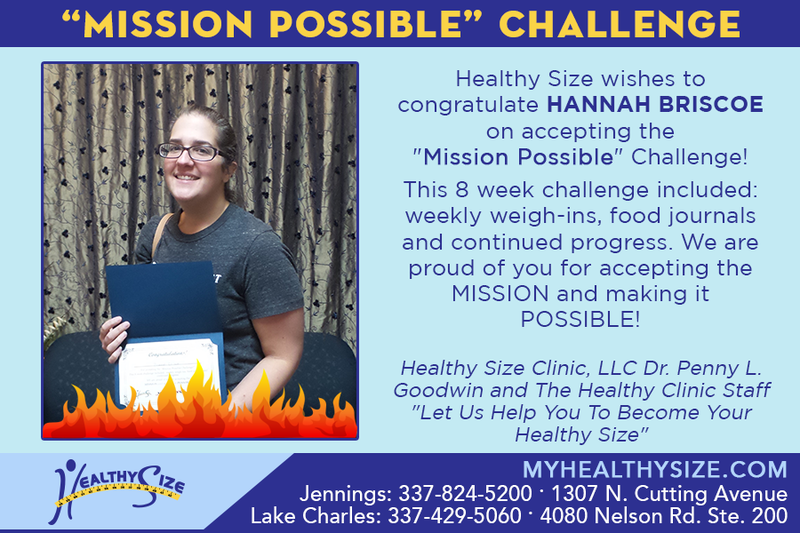 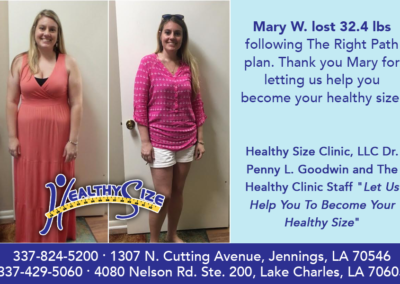 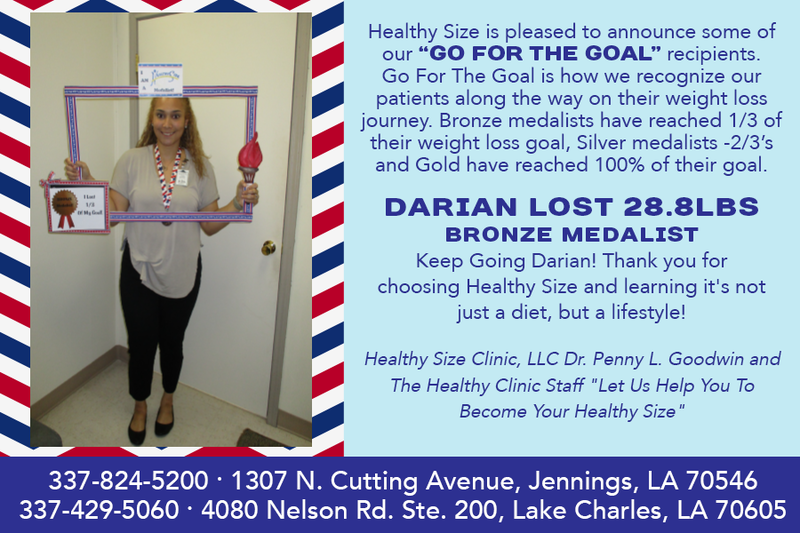 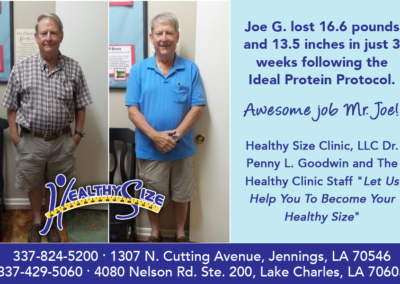 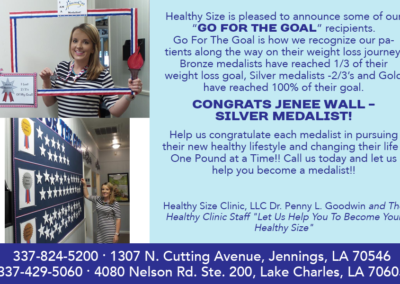 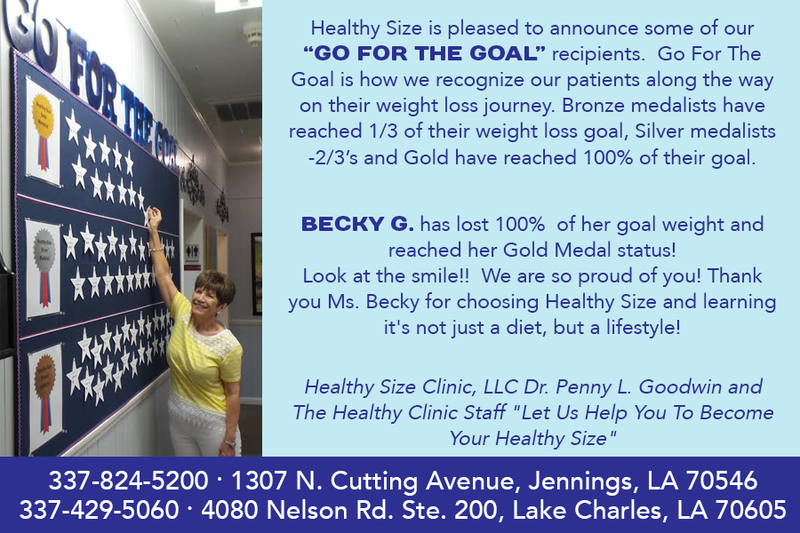 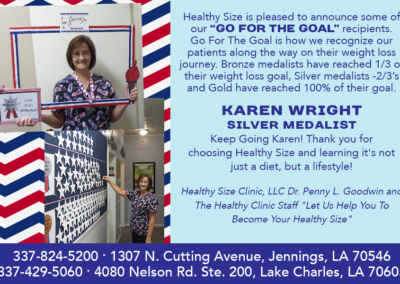 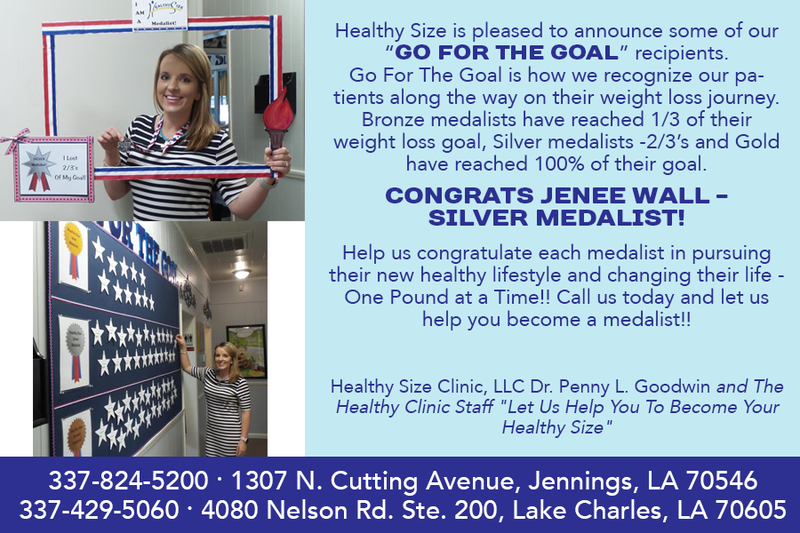 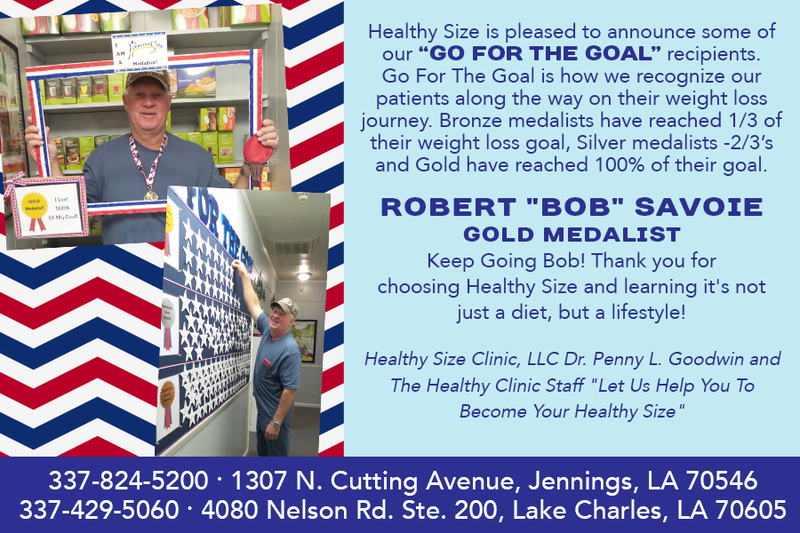 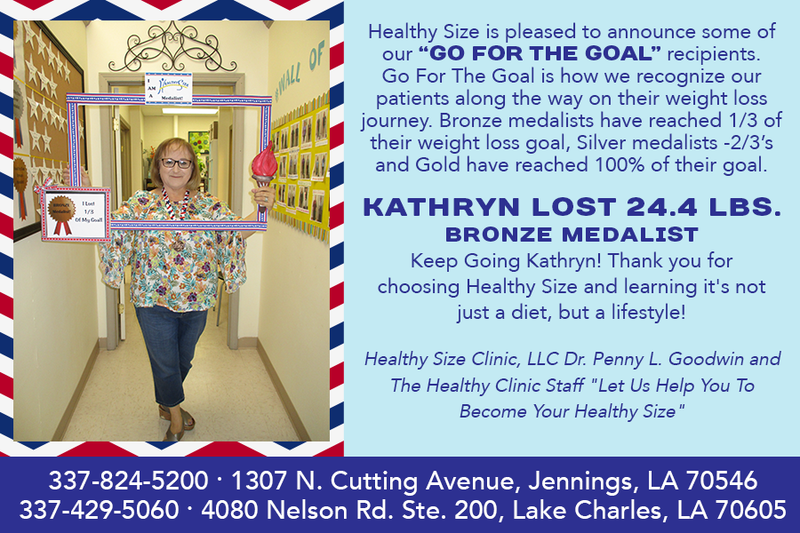 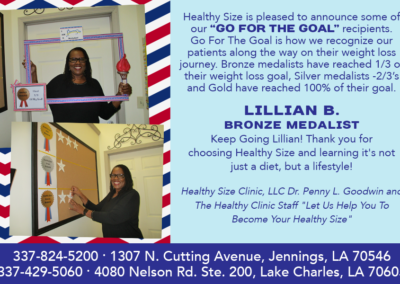 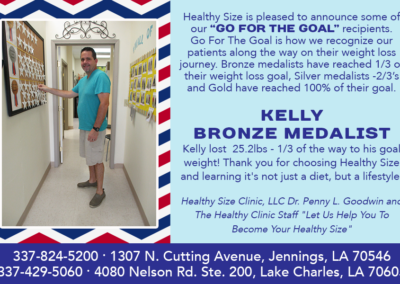 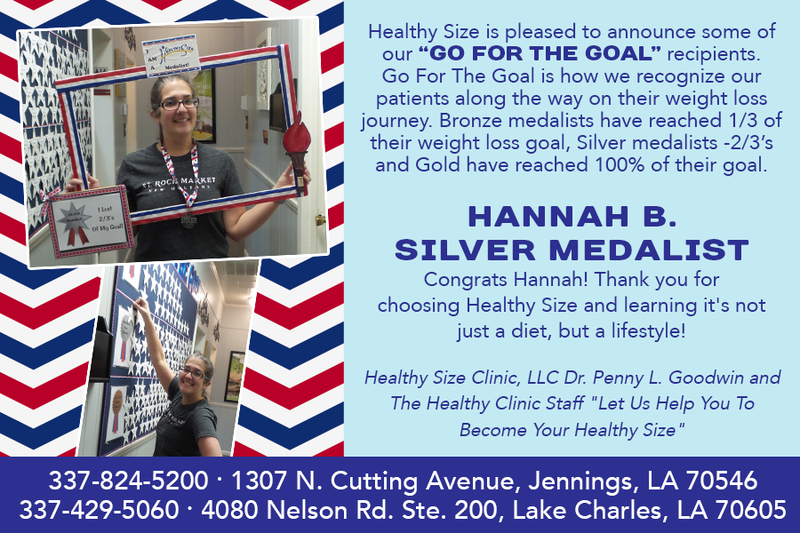 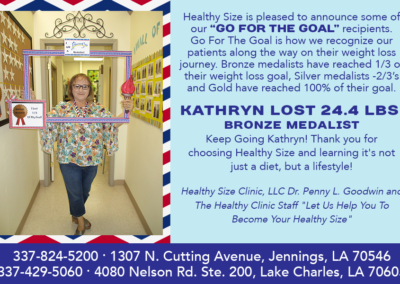 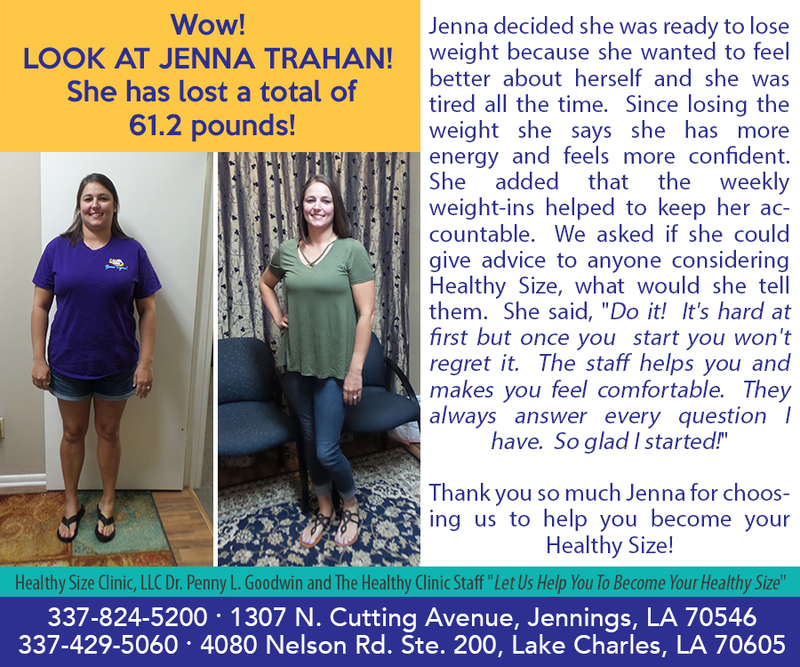 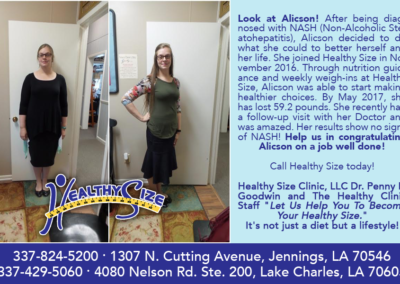 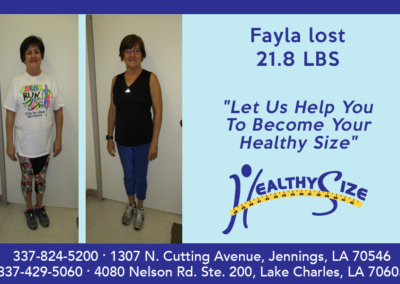 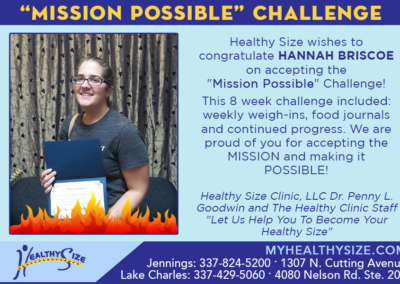 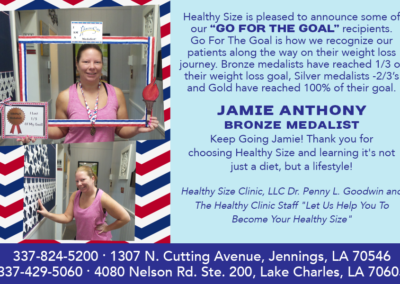 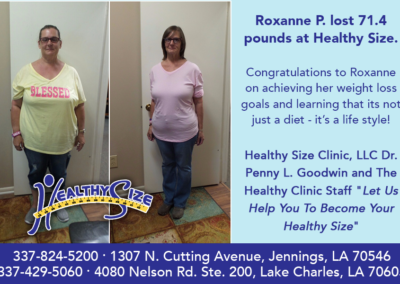 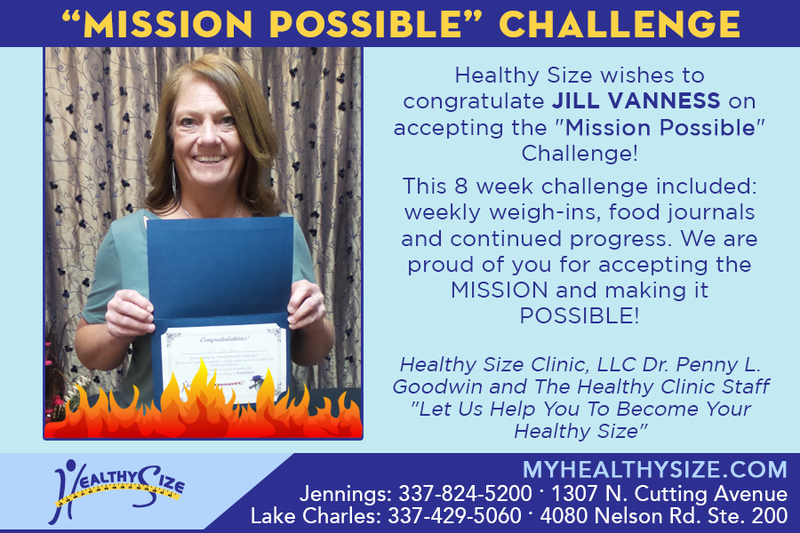 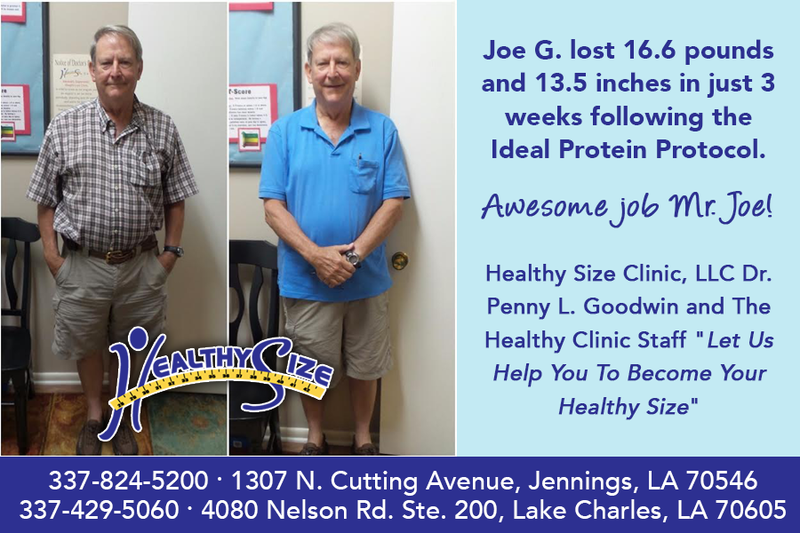 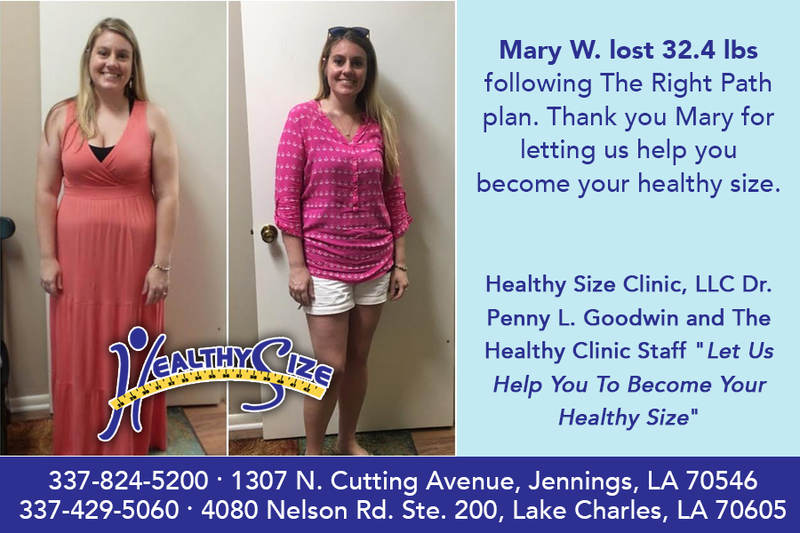 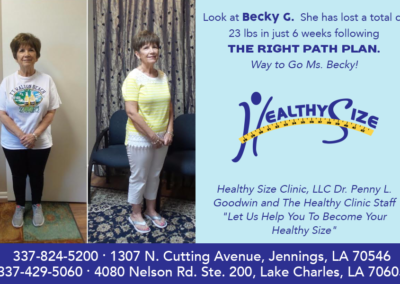 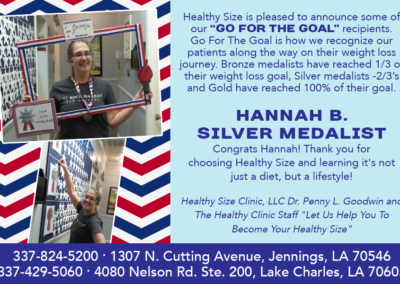 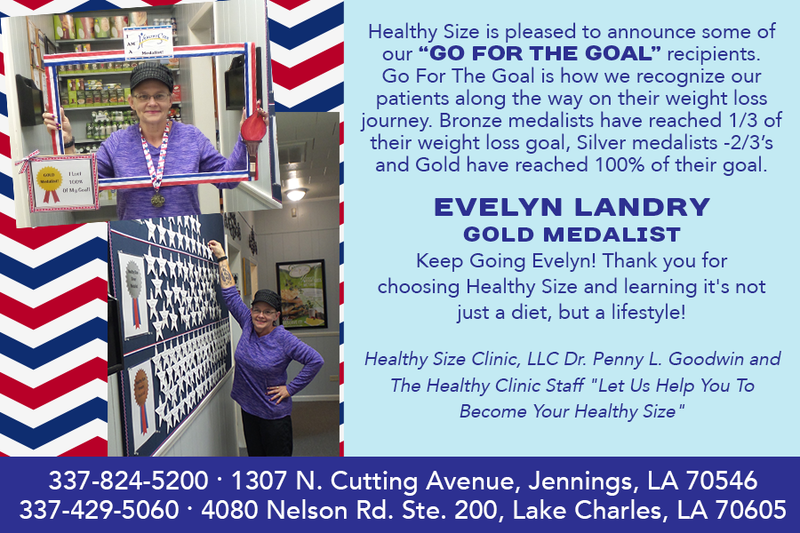 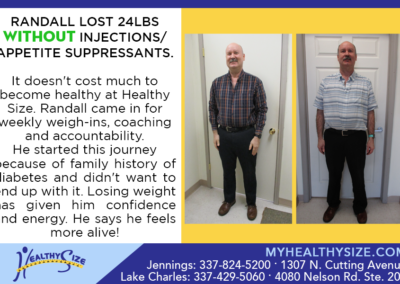 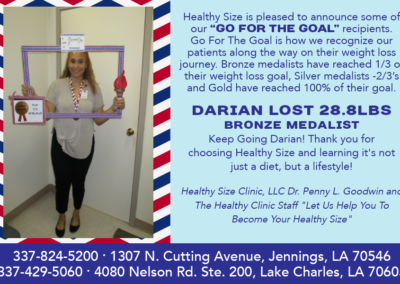 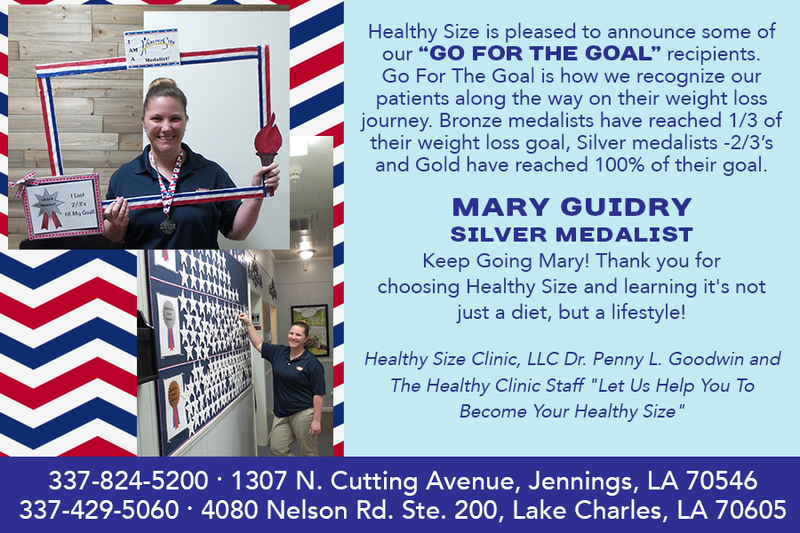 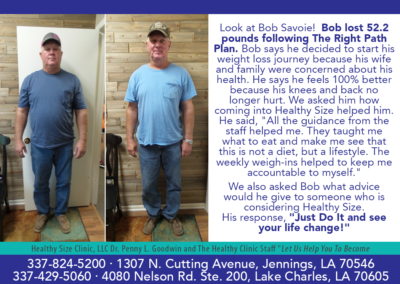 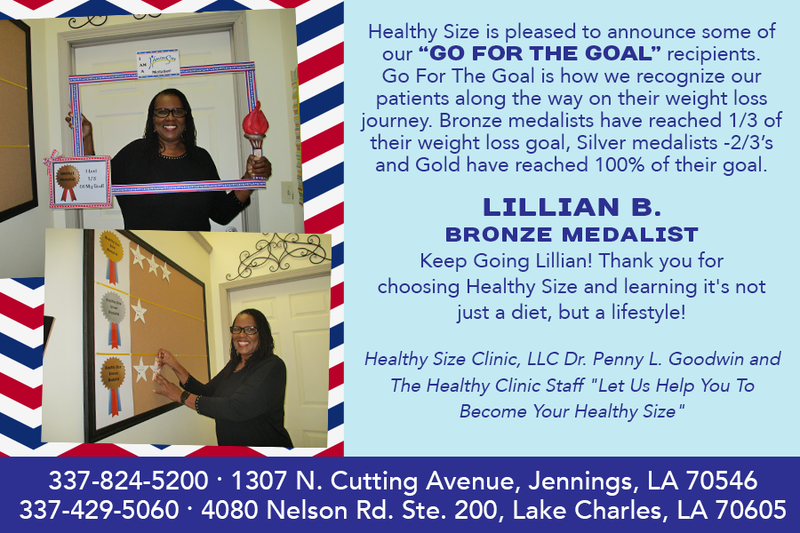 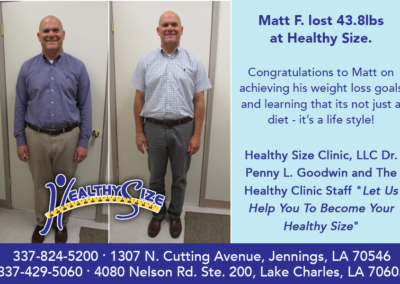 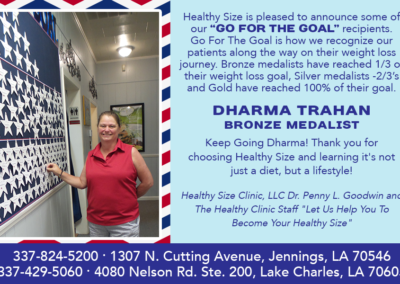 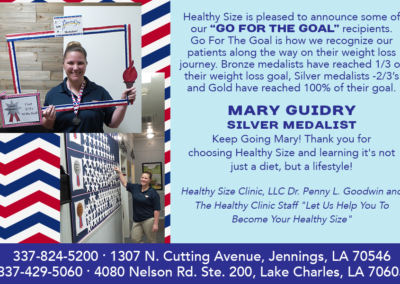 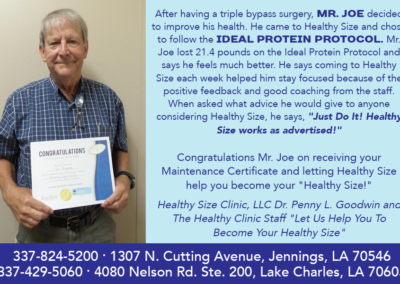 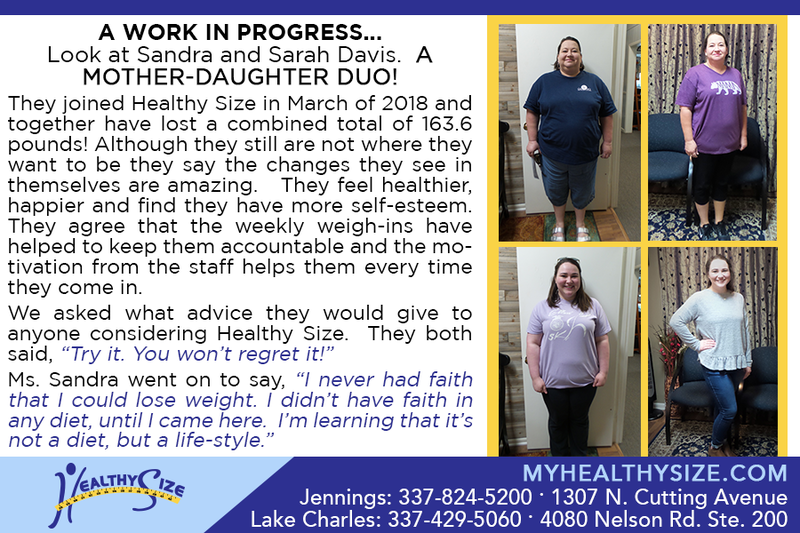 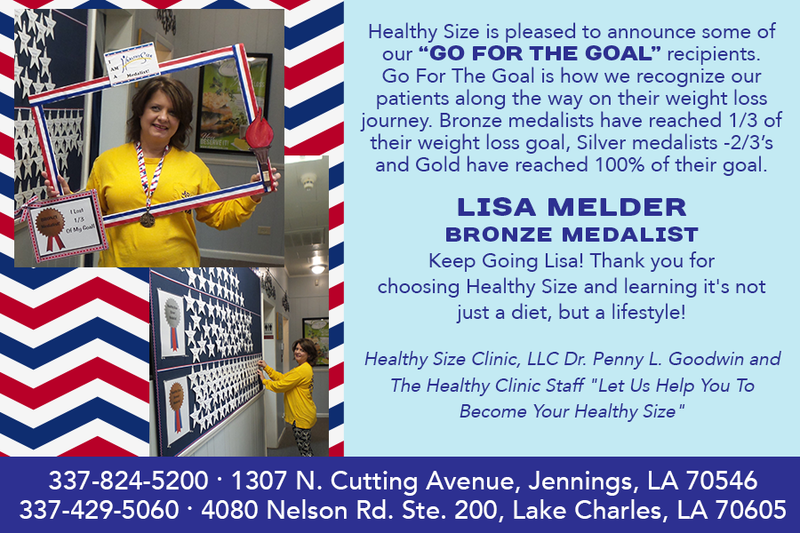 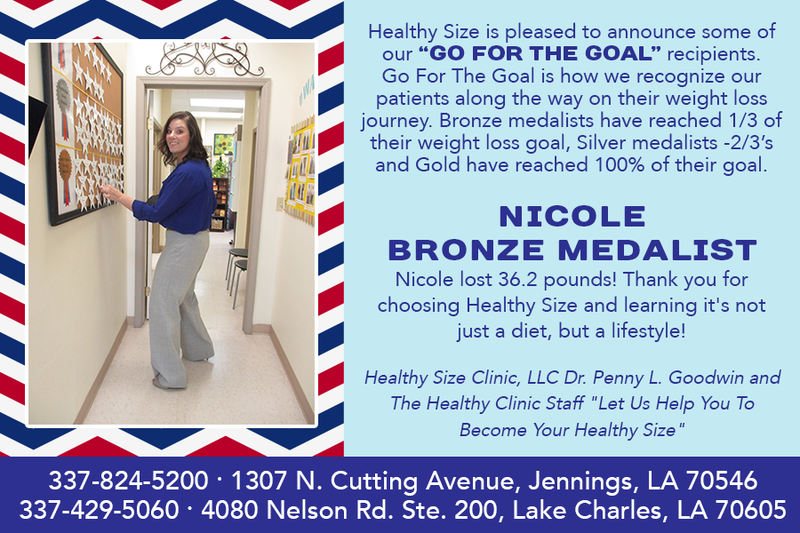 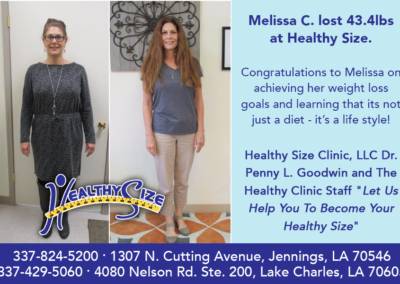 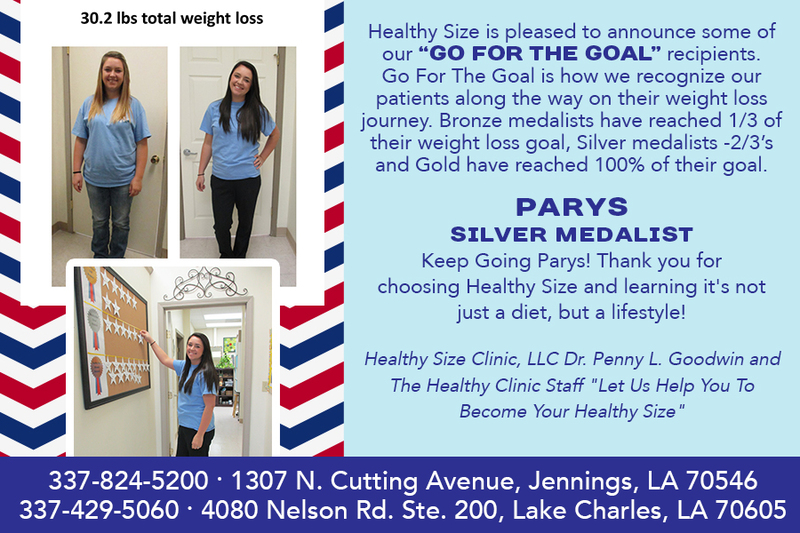 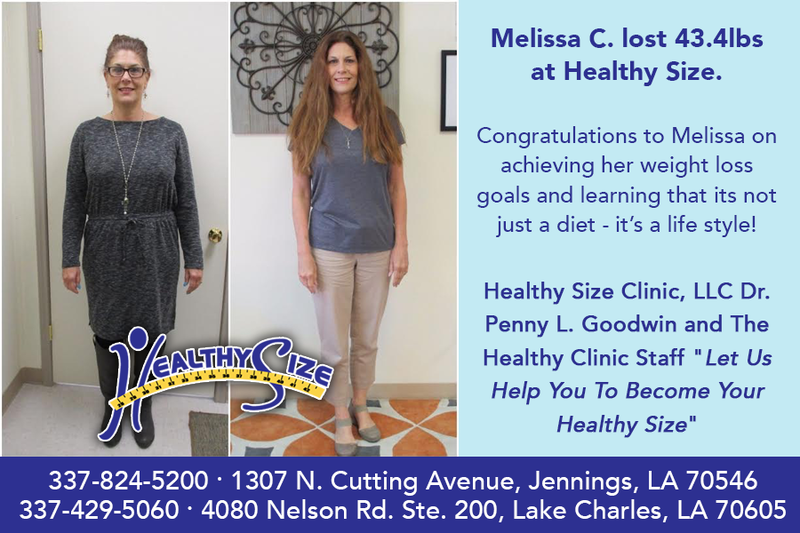 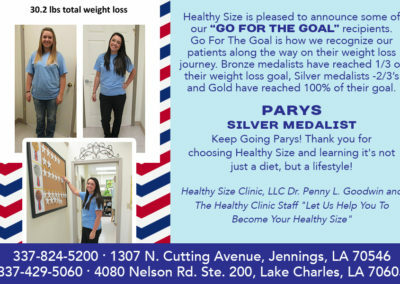 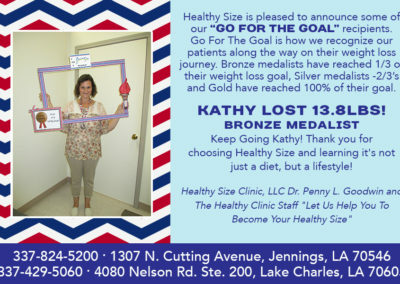 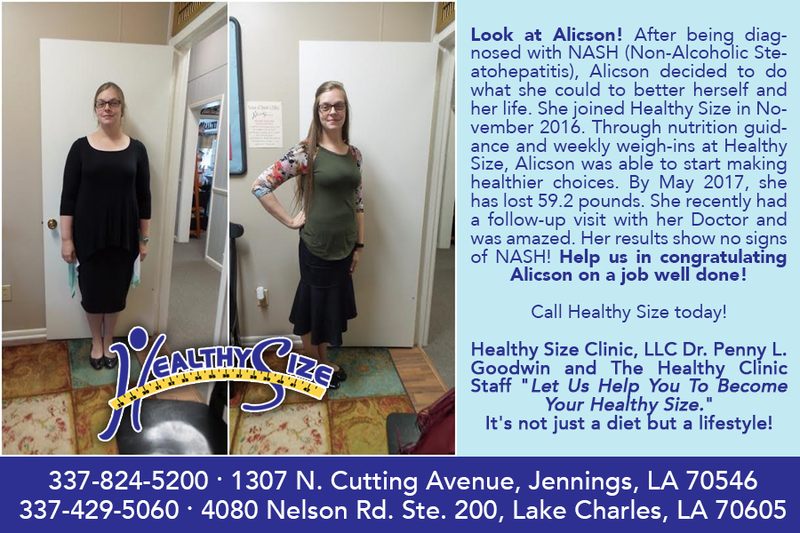 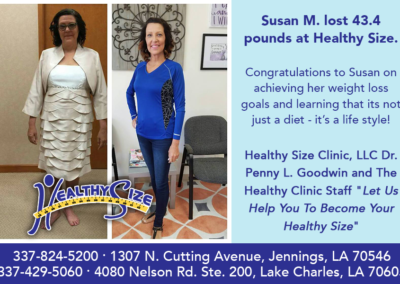 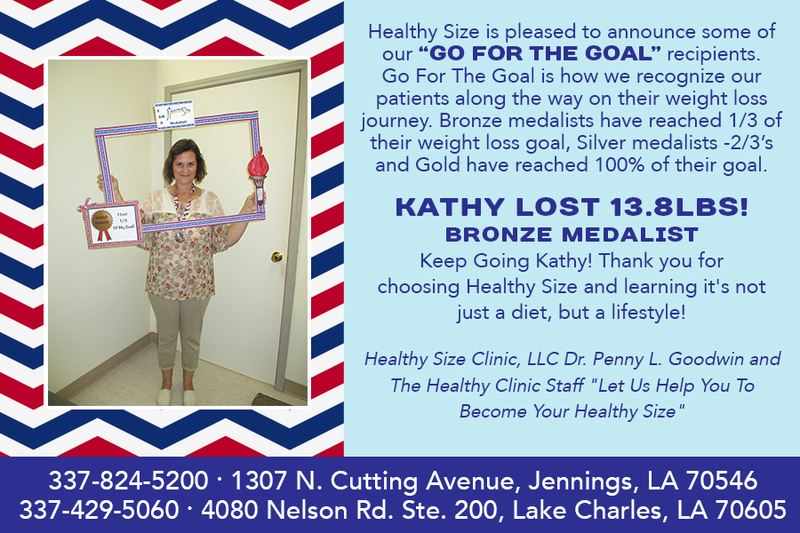 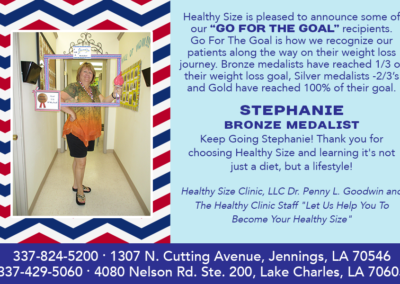 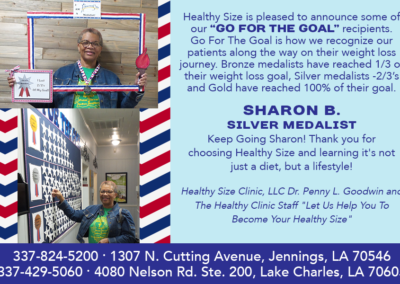 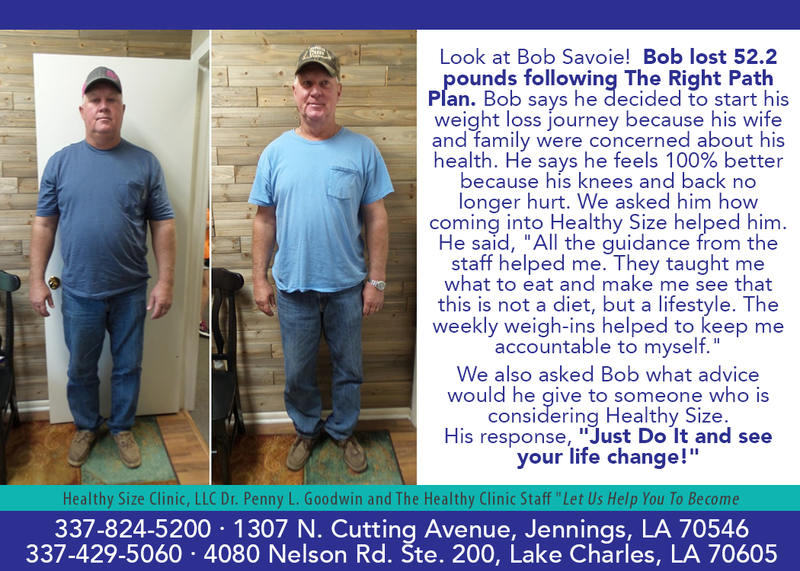 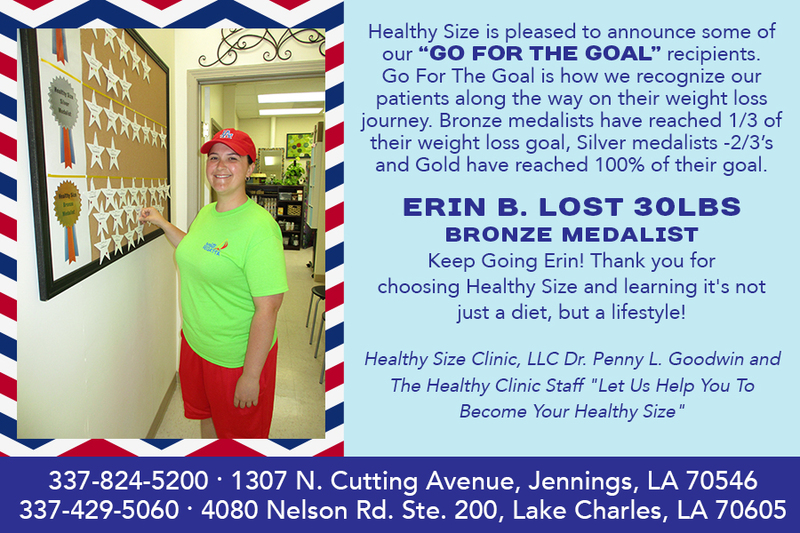 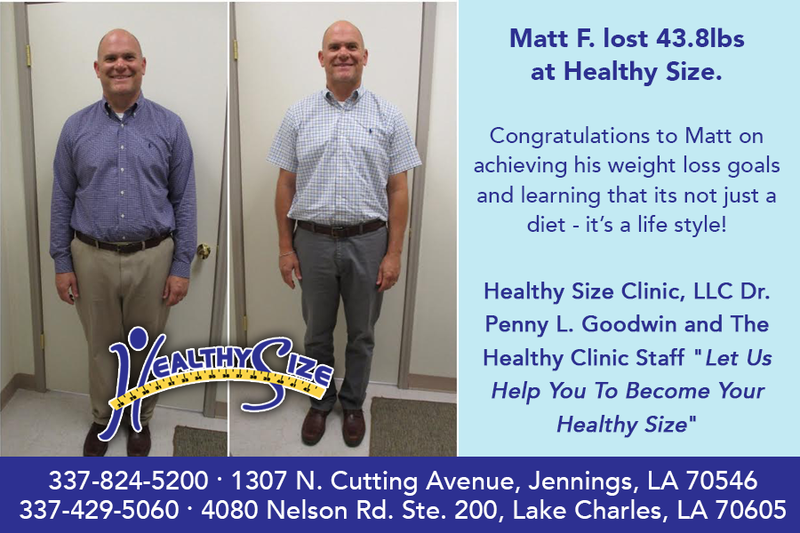 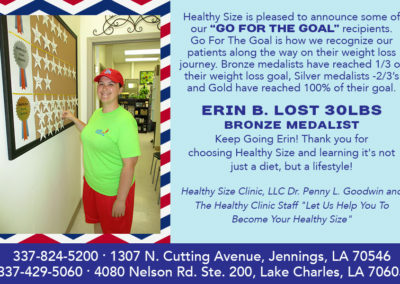 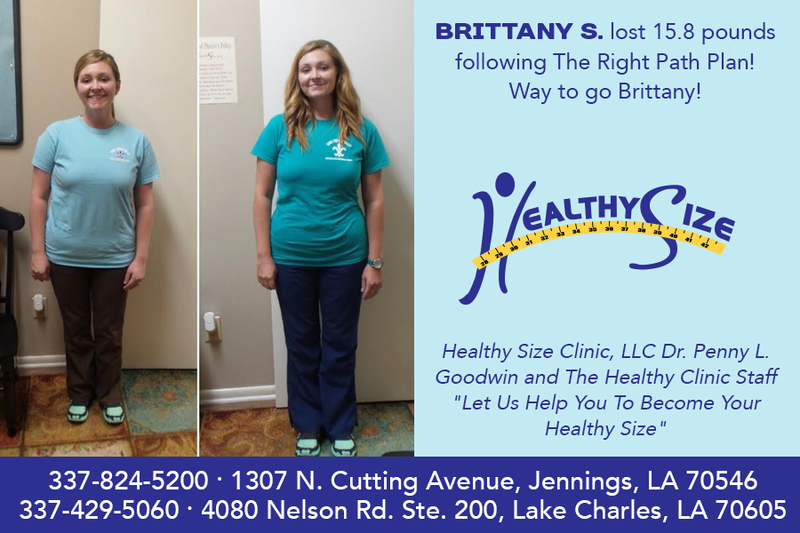 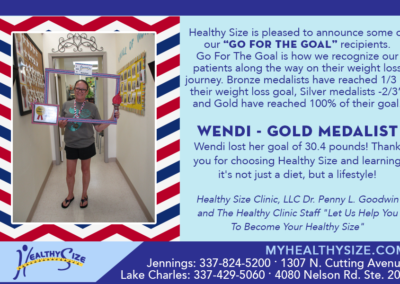 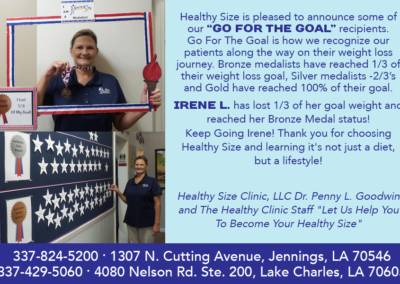 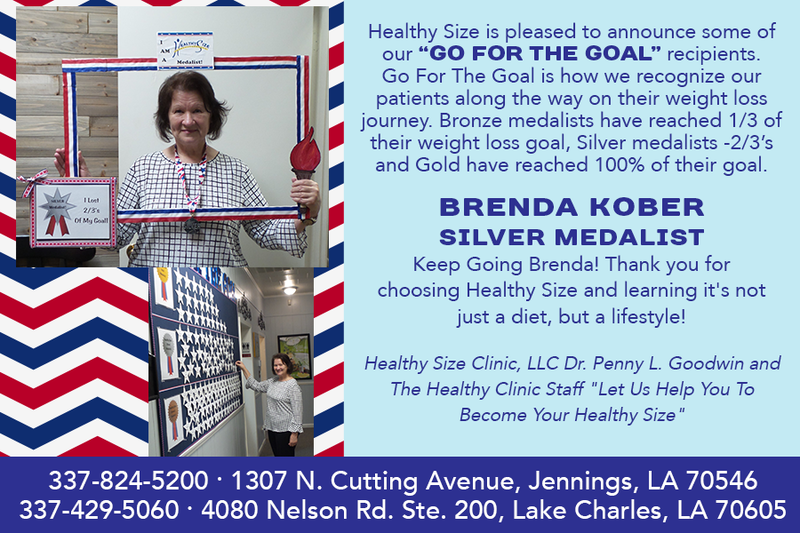 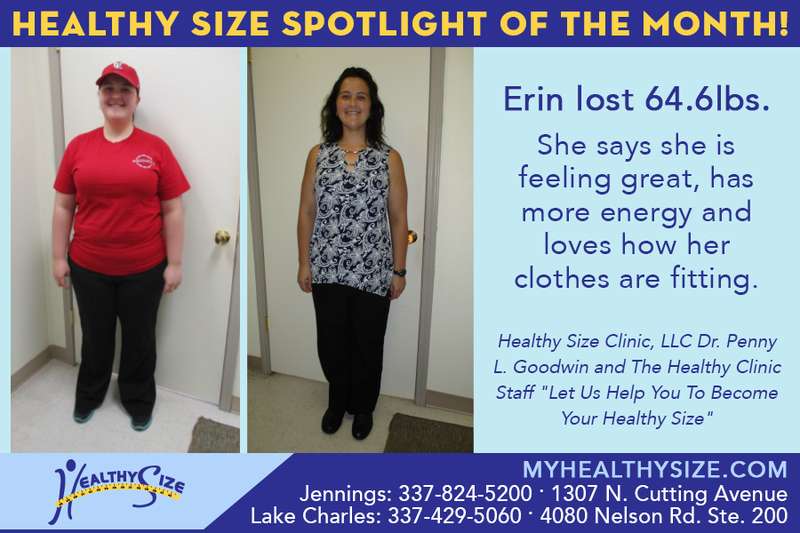 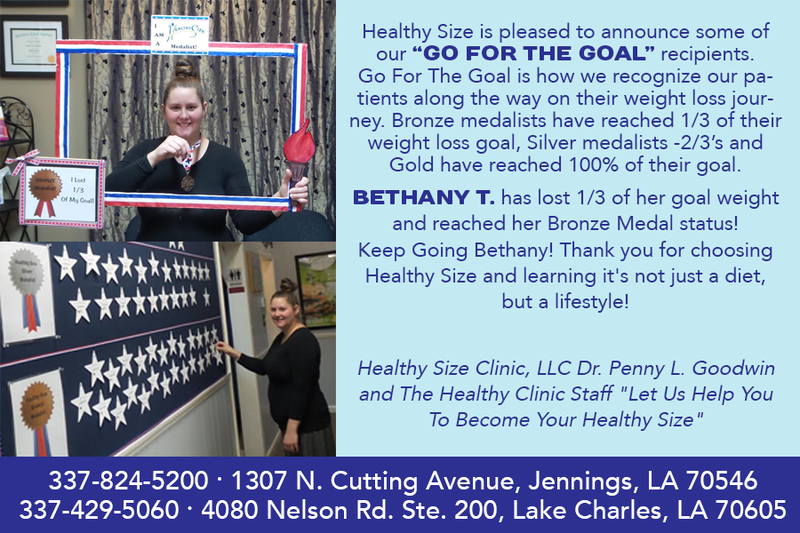 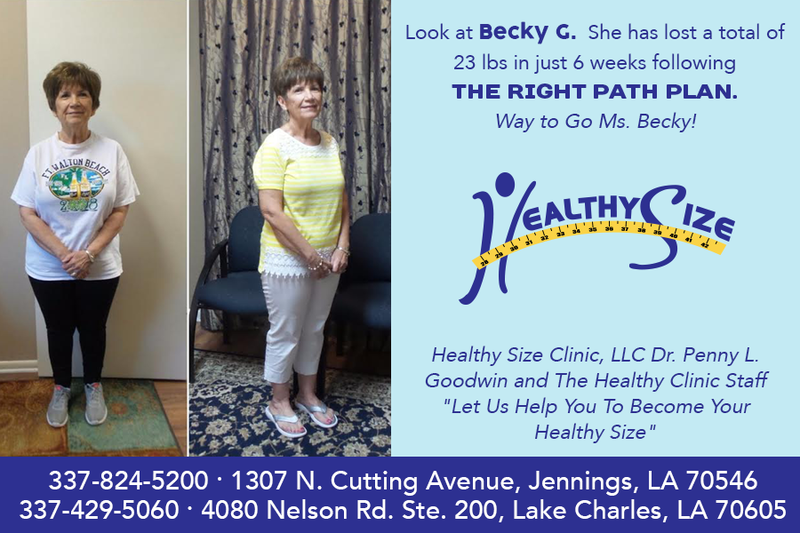 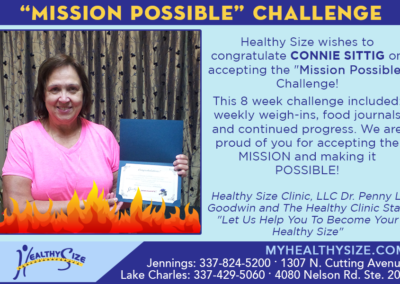 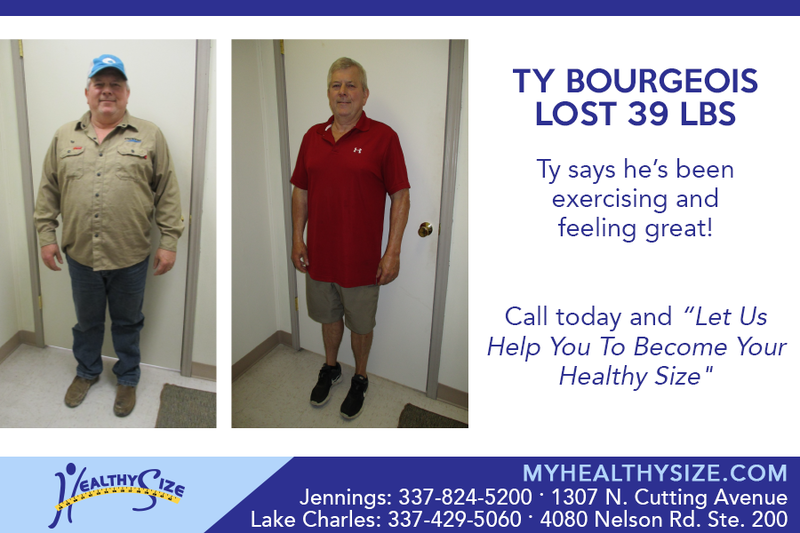 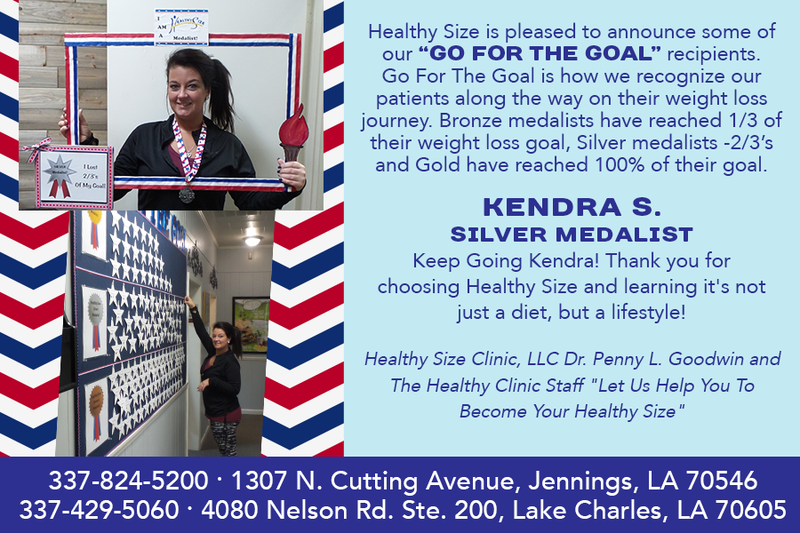 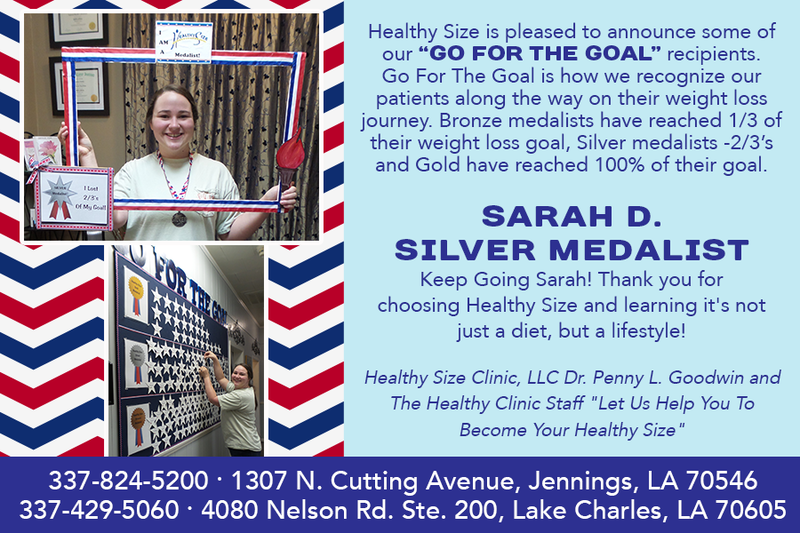 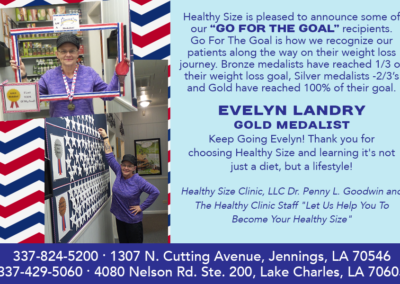 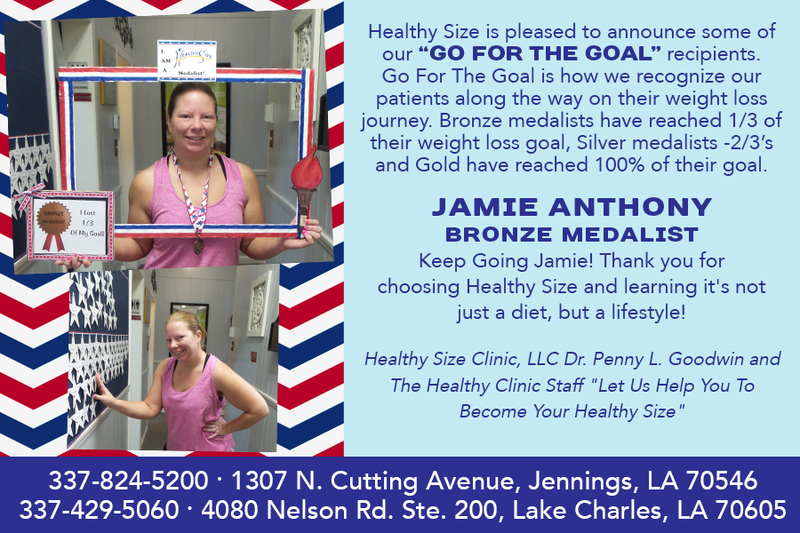 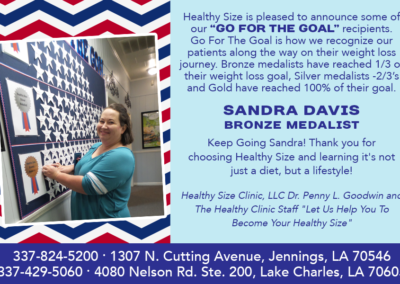 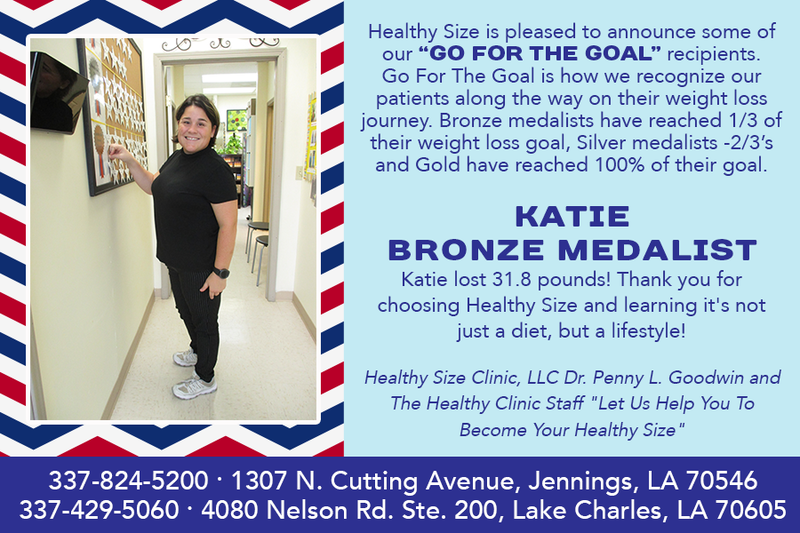 Healthy Size is the No 1 “Physician Approved” Weight Loss Clinic in SWLA. 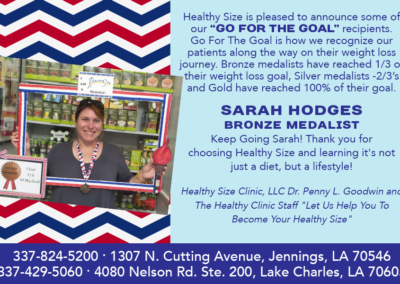 Healthy Size Clinic carries health foods and supplements of all kinds to complement any diet. 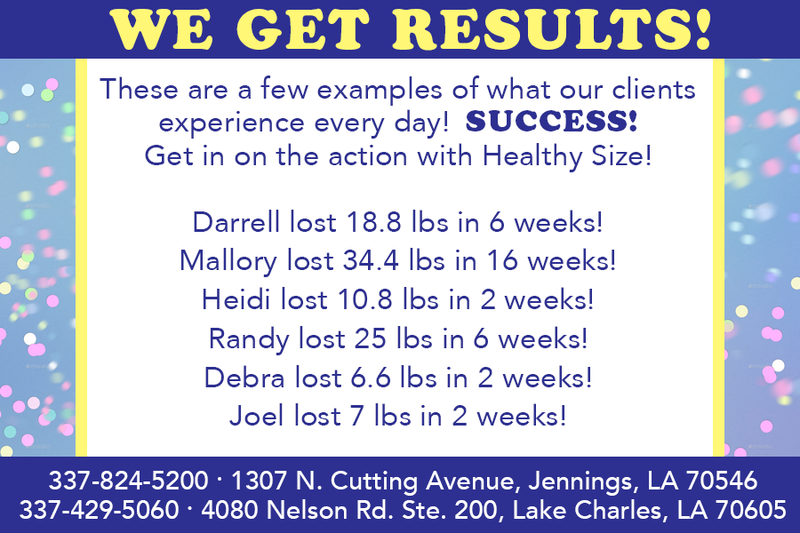 If you need assistance in a certain area of your diet, we have supplements that safely aid in weight loss and nutrition. 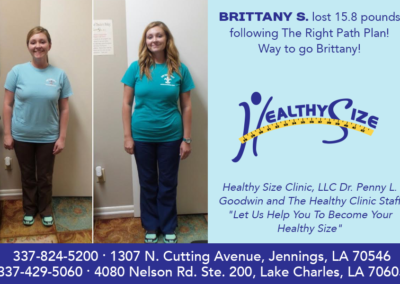 Our team will not only guide and encourage you to make healthier decisions, but will also provide you with body fat analysis reports to ensure that you are losing fat and not muscle. 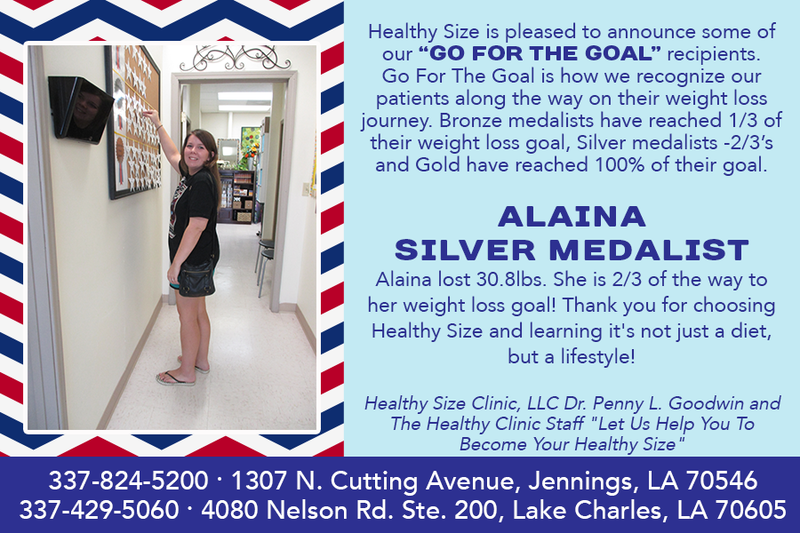 We are happy to offer Limelife by Alcone Professional Makeup and Skincare Line. 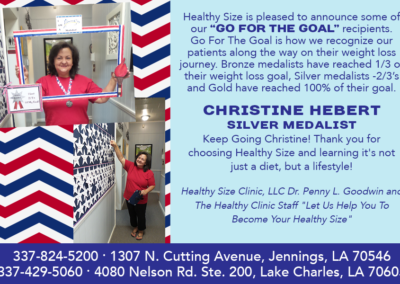 Healthy Size Clinic makes it easier than ever to lose weight and keep it off. 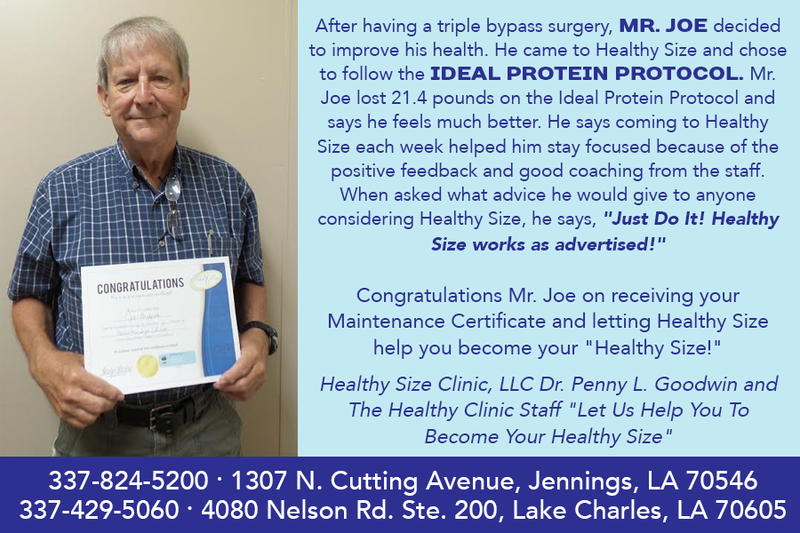 You’ll find that our experienced staff—Dr. 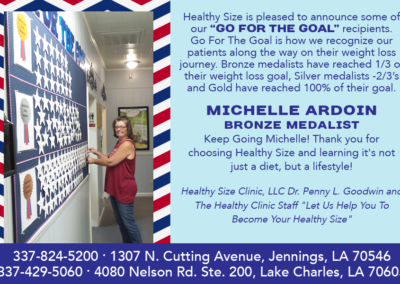 Penny Goodwin, Rachel, Geralyn, Kim, Dana, Ashly, Mona, Ali and Taressa —are here for you. 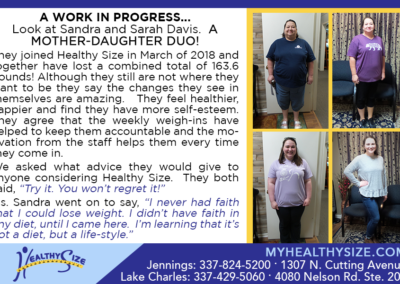 It’s their support that makes our program so effective. 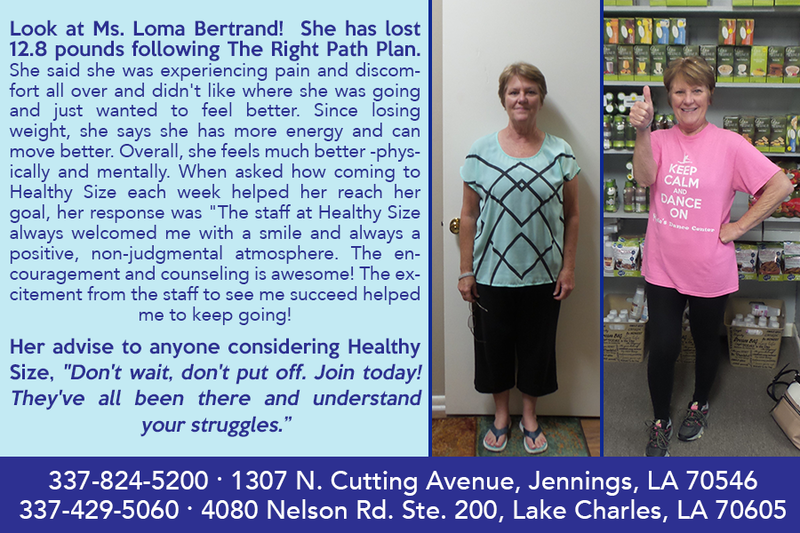 They have all “been in your shoes”, first hand being a patient of our program before becoming staff members! 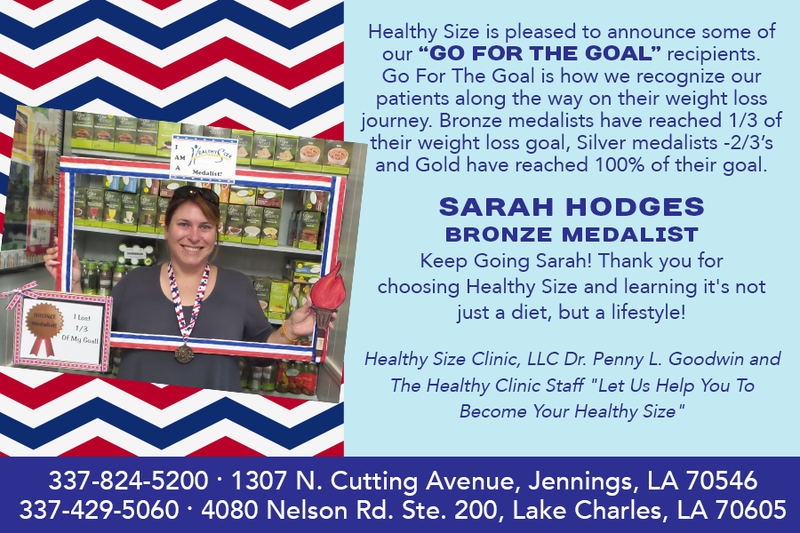 Our clinic carries a variety of different health foods and supplements from brands that are known for quality products and ingredients. 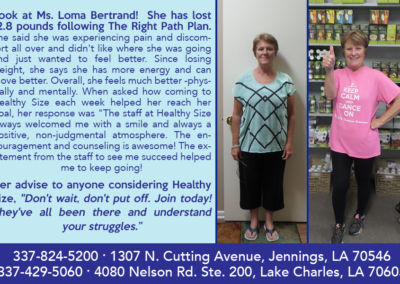 You can rest assured knowing that everything is free from animal products, petroleum, and inorganic chemicals. 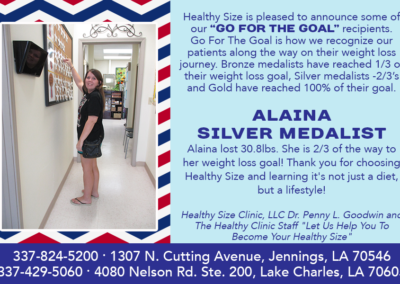 We are happy to offer Limelife by Alcone Professional Makeup and Skincare Line. 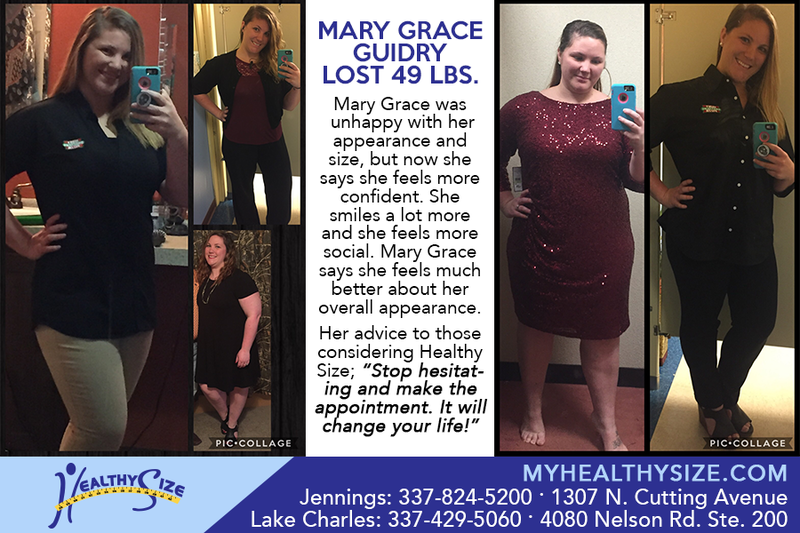 These products are free of harsh chemicals, have certified organic ingredients and are botanical based. 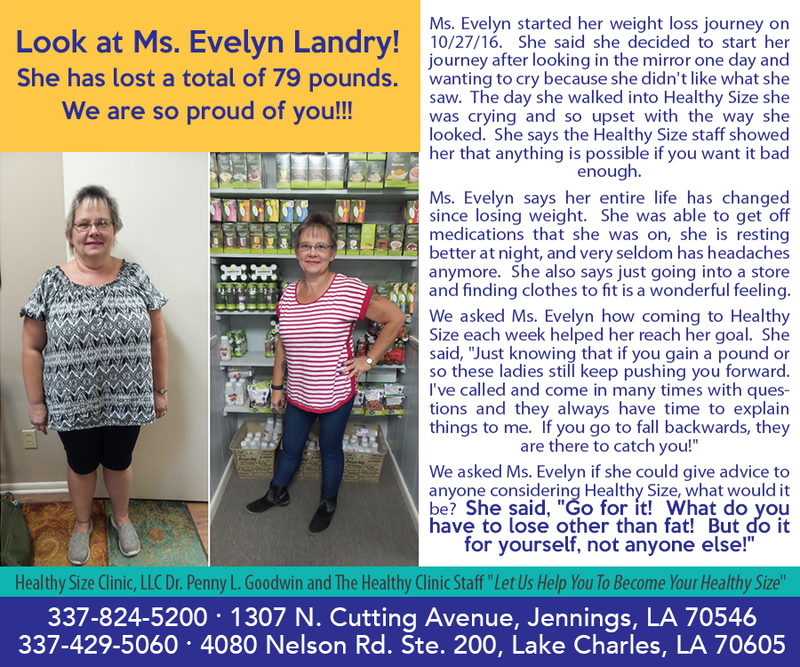 That means they are safe for your skin and the products get results, as most of the products are based as serums and not creams therefore you are getting more of the active ingredients and not fillers! 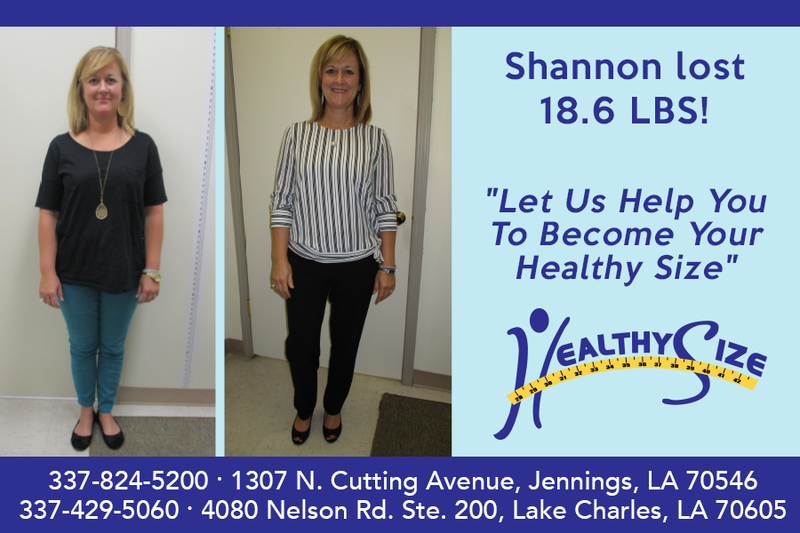 Already made your appointment and ready want to get a jump start on your first visit. 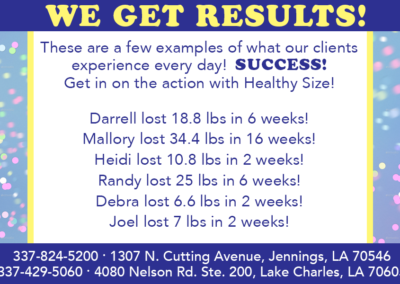 Please print and fill out these FORMS.